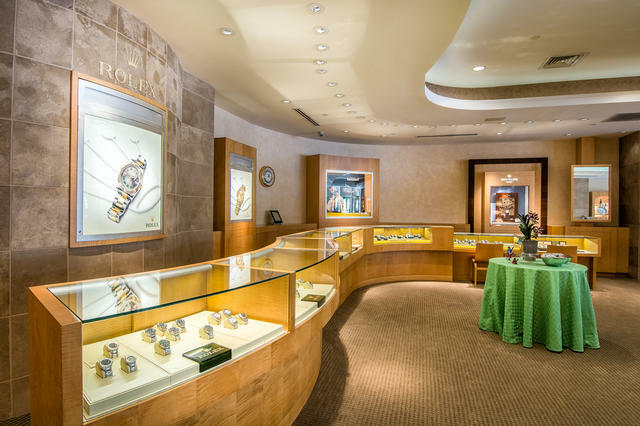 A Texas tradition for well over 100 years, Haltom’s Fine Jewelers has been serving the Fort Worth region since 1893, bringing exquisite jewelry and time- pieces to this cultural epicenter. In 2013, Haltom’s celebrated two significant milestones, its 120th anniversary and 30 years under the leadership of entrepreneur Jack Miller. 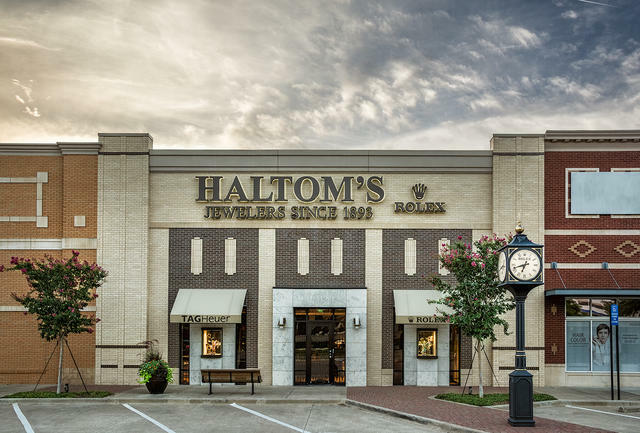 Haltom’s has experienced remarkable growth under Jack’s leadership over the last three decades; and today, the jeweler has four retail locations in Fort Worth and the neighboring Texas towns of Arlington and Grapevine. The stores share the priority of exemplary customer service, which its loyal clientele has grown to trust. As a tribute to company founder, G. W. Haltom, cast-iron clocks are displayed outside each of Haltom’s four stores. 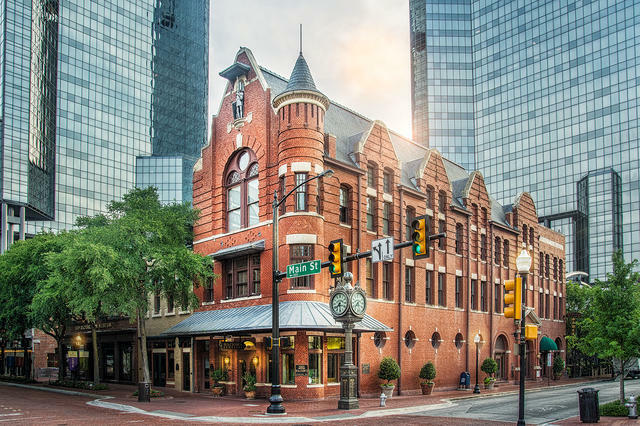 This element of décor dates back to the early 1900s, when G. W. Haltom purchased a Howard Clock with an eight-day manual-wind movement and placed it in front of the original downtown location in Fort Worth. The precision clocks currently standing adjacent to each storefront boast atomic mechanisms that use radio waves to verify the time, acting as a salute to expert craftsmanship, artistry and accuracy. Haltom’s four stores each measure 3,000-square-feet and feature dark wood showcases, elegant lighting, an inviting atmosphere and diligent employees. The extensive company history has been witness to various phases of expansion and renovation. 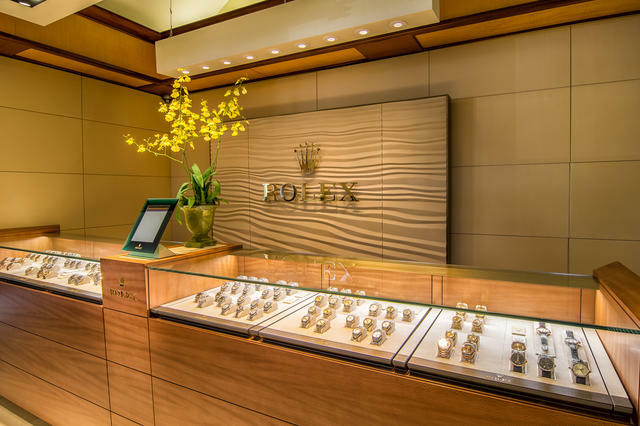 Haltom’s opened an exclusive Rolex corner in its flagship location, which opened in tandem with the grand opening of the Sundance Square Plaza in Forth Worth, thoroughly enhancing the downtown shopping experience. Most recently Haltom’s welcomed another Rolex corner, this time in its Ridglea store, which opened in the summer of 2016. A comprehensive training program ensures Haltom’s sales associates are up to date on industry news, trends, innovations and more, as each employee attends a weekly training seminar. Their knowledge of the watch industry and enthusiasm for all things horological are palpable, and customers feel con dent that a special purchase from Haltom’s Fine Jewelers will be treasured for years to come. 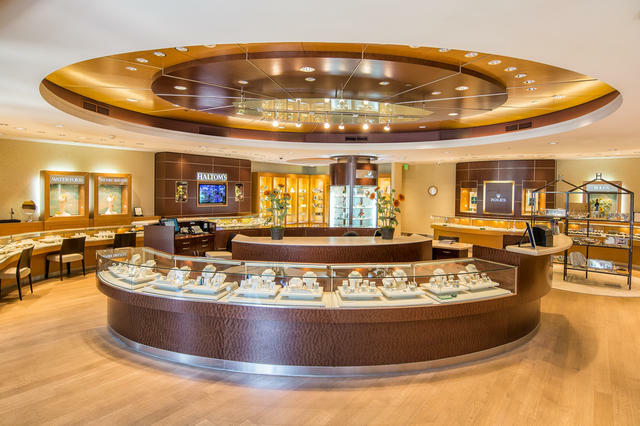 The company’s service department offers timely expert attention to each piece that comes through its doors, and customers who avail them- selves of the assistance available at Haltom’s Fine Jewelers will not soon forget the positive experience. 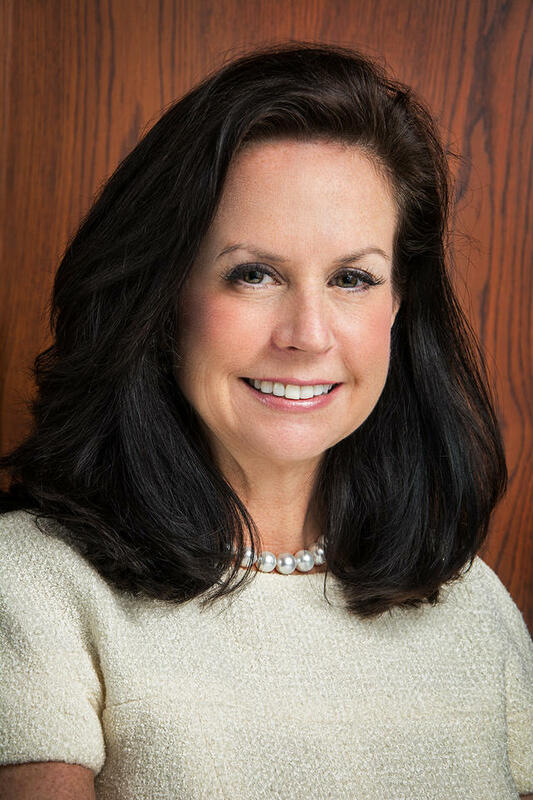 “We truly believe in building our business one customer and one referral at a time,” shares Vice President Ladye Ann Miller, who celebrated 35 years at Haltom’s in 2015. 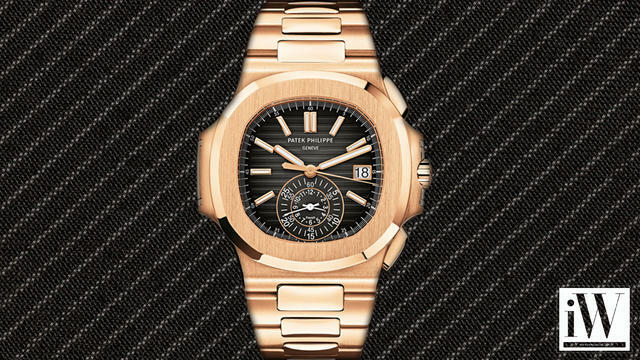 Desirable indeed, Haltom’s selection of timepieces comprises the most prestigious Swiss houses of horology, including Patek Philippe, Rolex, Omega, Breitling, TAG Heuer and more. The Texas jeweler remains resolutely committed to quality, expert craftsmanship and value, without being swayed by passing trends. This foundation explains why only the most respected marques can be found within Haltom’s Fine Jewelers. “You’ll never find an offering in our store that we ourselves wouldn’t be proud to hand down to our own children and grandchildren,” Jack explains. 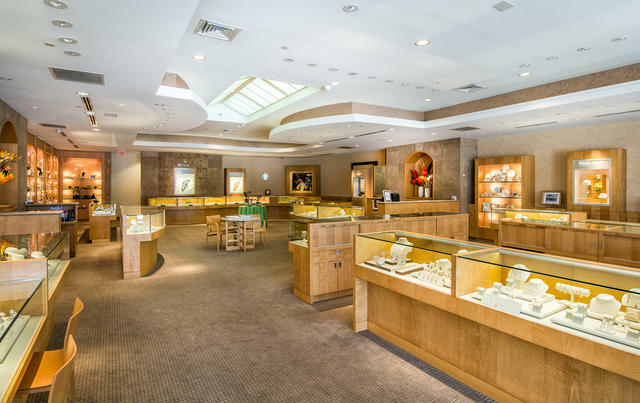 In addition to its exquisite selection of timepieces, Haltom’s showcases display jewelry collections by Gurhan, John Hardy, Ippolita, Konstantino, Marco Bicego, Mikimoto, Roberto Coin and Steven Lagos, as well as a full line of giftware by Baccarat, Waterford, Lalique, Nambe and more. Haltom’s Fine Jewelers is deeply committed to enriching and supporting the community that has sustained it for so many years.